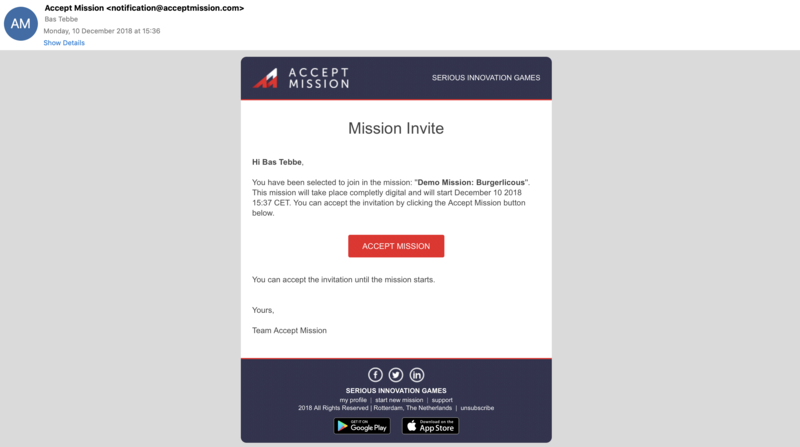 This article explains how new agents can join a mission through an invitation and get started with Accept Mission. So you got an Accept Mission invite and you would like to know how to get started with Accept Mission? That’s awesome. We’re going to explain step-by-step how to accept an invitation for this next generation brainstorm tool so you can start adding ideas.This article is a recap of the process of accepting an invite for a new mission in Accept Mission. In every step, we show and tell you how to properly accept an invite so you can start adding your ideas. The most common and easy way for an agent to get your mission started is by receiving an email invitation in your mailbox. Press the red button "Accept Mission" and get started. If this is the first time you will be using Accept Mission, you will be prompted with a signup-form. After signing up you will be directed to a screen where you can choose your hidden identity or avatar. This will be your identity throughout the mission. Be sure to not tell anyone about your new identity, you’re sharing your ideas anonymous! 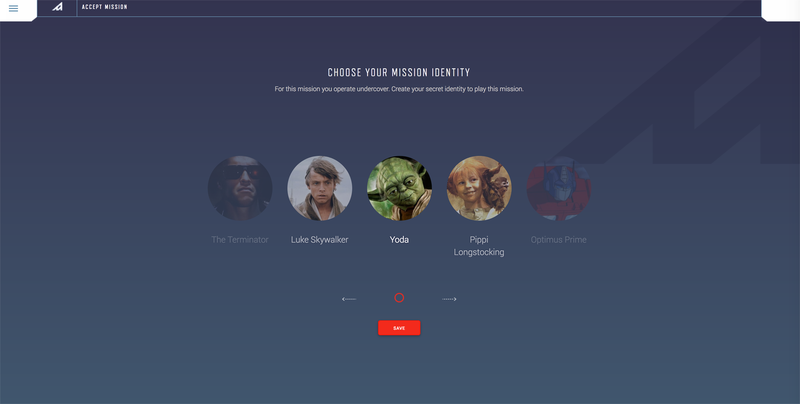 After accepting the mission, signing up and picking an avatar, you are now in your mission timeline. Navigate through the timeline where all the current and completed stages are shown. If you would like to go back to your mission dashboard, use the 'burger' menu top left of your screen to navigate back to the mission dashboard. This is a how-to article on how to accept a mission in Accept Mission and how to navigate through this proces. Next up we're going to show you how the timeline in Accept Mission works. Got any feedback? Please let us know. We're always trying to improve our service!